There are 184 Citation III aircraft currently in operation today. Most of these are wholly owned (179) with 5 in shared ownership. 2% are currently leased. 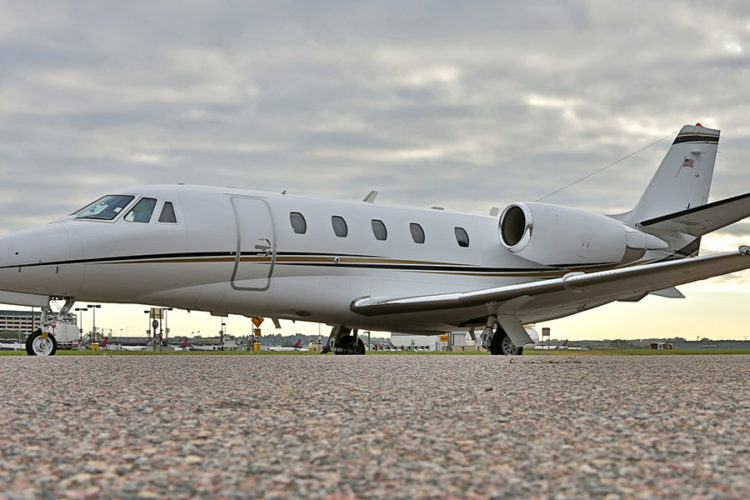 North America has the largest percentage of wholly owned Citation III aircraft (80%), followed by South America (11%). Two Honeywell TFE731-3B-100S engines power the Citation III each offering 3,650 pounds of thrust and using a combined 241 gallons per hour (GPH). The range of the Citation III is 2,054 nm operating under NBAA IFR 4 passengers with available fuel. The cabin volume for the Citation III is 422 cubic feet. Typical configuration features 8 passenger and 2 crew seats. Of the 184 Citation III in operation, 18 (10%) have ADS-B Out installed. Click Here to view Cessna Citaton aircraft for sale by Jetcraft.